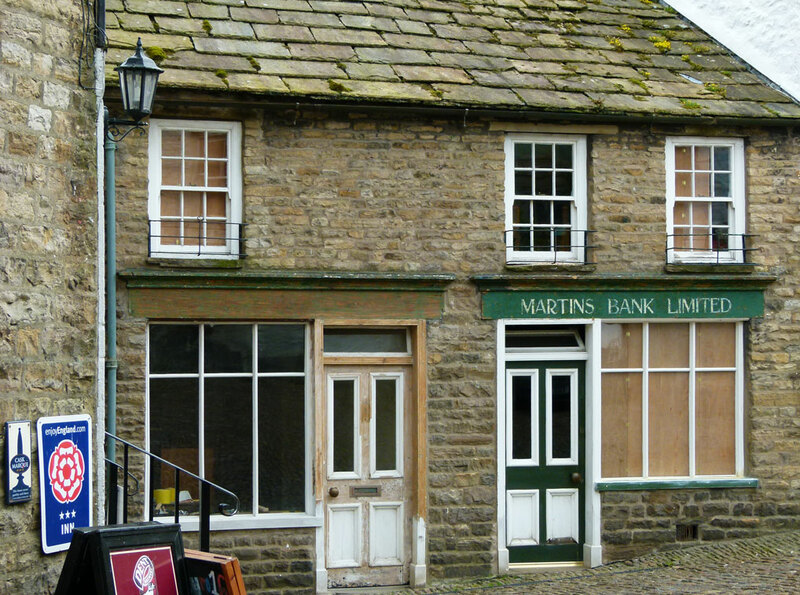 You’ll find the small village of Dent, sometimes known locally as Dent Town, on the western edge of the Yorkshire Dales. This was once part of Yorkshire’s West Riding but is now inside the county of Cumbria. 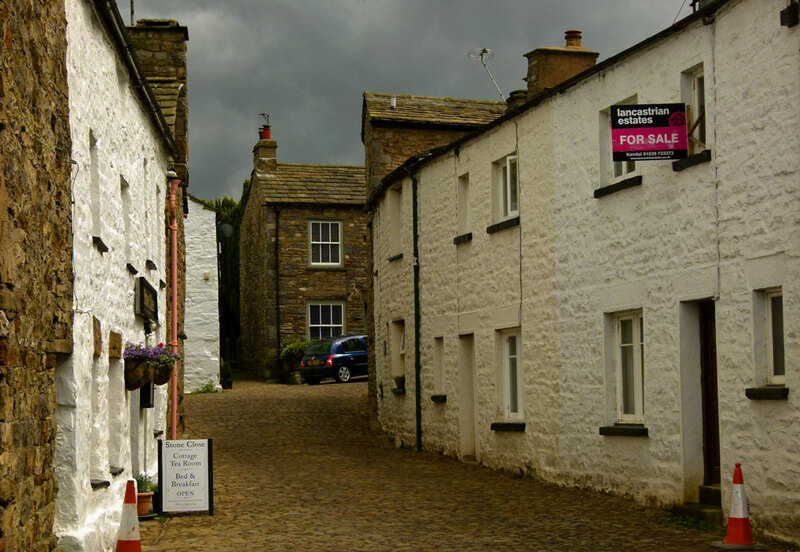 The narrow roads through achingly beautiful Dentdale seem never-ending; it’s almost a relief to arrive amongst Dent’s old stone buildings and rumble slowly over the cobbles. Even in the 21st century, the place has a remote feel. 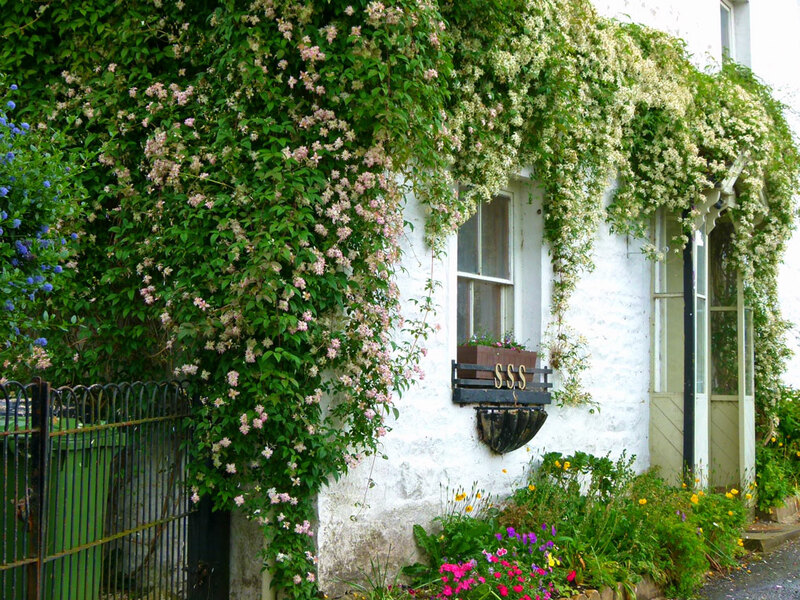 The ancient cottages, some unadorned, some whitewashed, have been people’s homes since long before you were born, and will probably continue being homes long after you have gone. Dent is the kind of place that has forgotten far more than you will ever know. So the story of George Hodgson really shouldn’t come as much of a surprise. 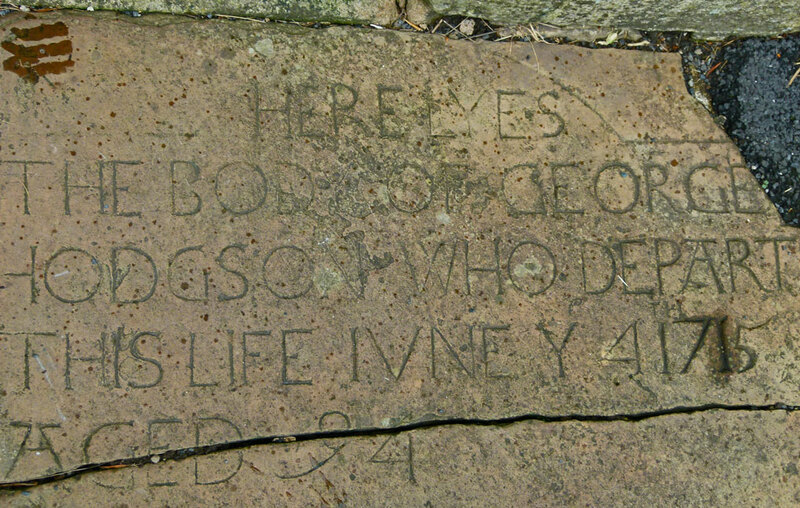 George was born in the Dale in 1621. I like to imagine he brought joy to his parents, experienced a happy, carefree, childhood, had his share of softness, love and laughter, and became a respected, treasured and contented member of the community. 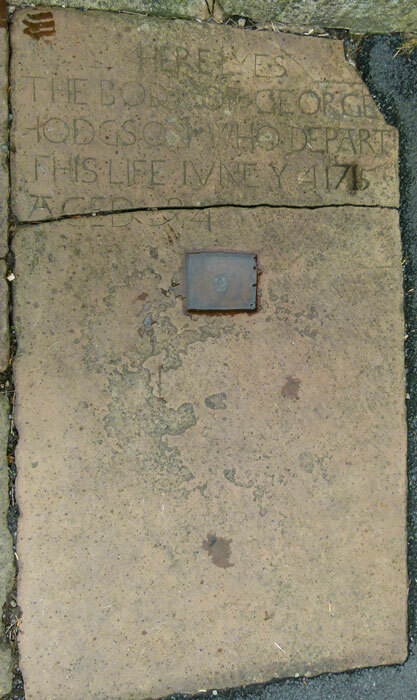 Whatever, he somehow reached the ripe age of 94 in 1715 and, having apparently led an irreproachable life, was buried with due ceremony in the churchyard of the parish church, St Andrew’s. And that should have been that – except, unfortunately, George kept hanging about the place like a bad smell. Clearly, something was amiss. Ugly rumours began; folk said that George was not what he seemed. Some claimed he had liked a daily pick-me-up of sheep’s blood. A farmer declared that he had once spotted a black hare – unquestionably a witch’s familiar – had understandably blasted at it with his gun, injured it and followed the creature’s bloody trail to George’s house, where he peered through a window and saw George bandaging a shot gun wound. A town meeting was called, which must have been an amusing occasion because they decided that poor old George had to be exhumed – presumably, to check for signs of life. So, the sexton dug down into the good English turf, the coffin was uncovered, hauled up – and opened. George was found to be apparently deceased, albeit his skin looked pink and curiously healthy and his hair and nails seemed to have grown a bit. No one mentioned checking his teeth. On reflection, they must have forgotten the mirror test too; I’ll look into that. 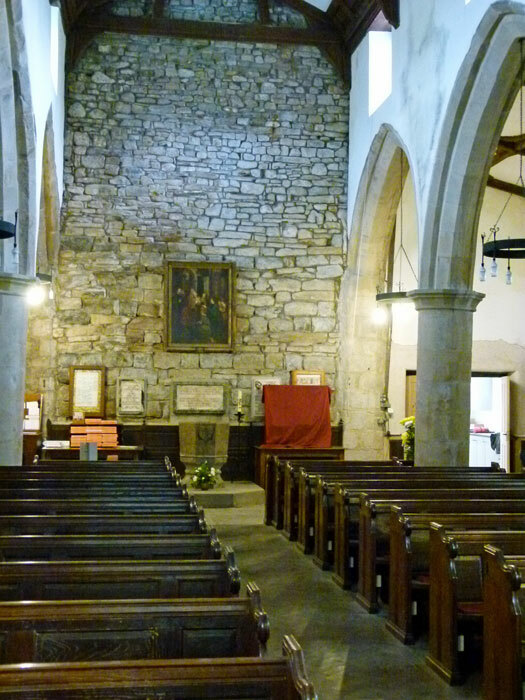 Even so, it can only be assumed that the good citizens of Dent decided that George had joined the ranks of the un-dead – although it would seem not sufficiently to keep him out of consecrated ground – because he was reinterred in a fresh grave (perhaps a nice spot in the sunshine) near the church door. Then they drove a brass pole through his body. According to author David Boulton, Dent was at the centre of a 6th century Celtic Christian kingdom ruled by a warrior called Dunawt. Dunawt died in 597, possibly killed by invading Anglo-Saxons, but left his name to morph into Dent. This part of the world was later prone to incursions by Danes and Norse and was so wild, or possibly part of the King of Scotland’s territory, that William the Conqueror’s Domesday surveyors gave it a miss. 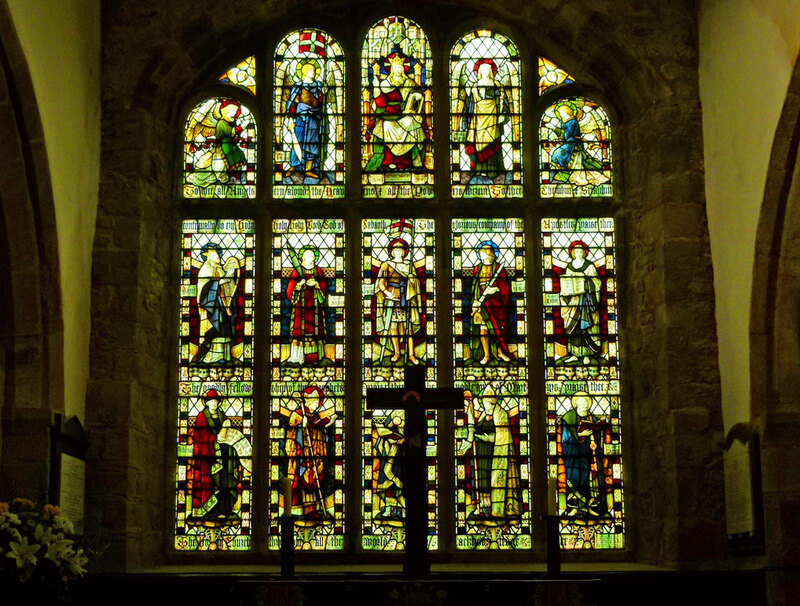 The Normans eventually arrived in the 12th century, though, and the earliest parts of the present church date from then. It seems the valley – or dale – has a long history of independence from external authority. Against the local trend, the inhabitants apparently supported the Yorkist cause during the Cousins’ War (Wars of the Roses) and their neighbours laid the dale to waste in response. Sometime around the 15th century, there emerged a group of twenty-four owner-farmers known as the sidesmen, or statesmen. These statesmen effectively ruled the place. 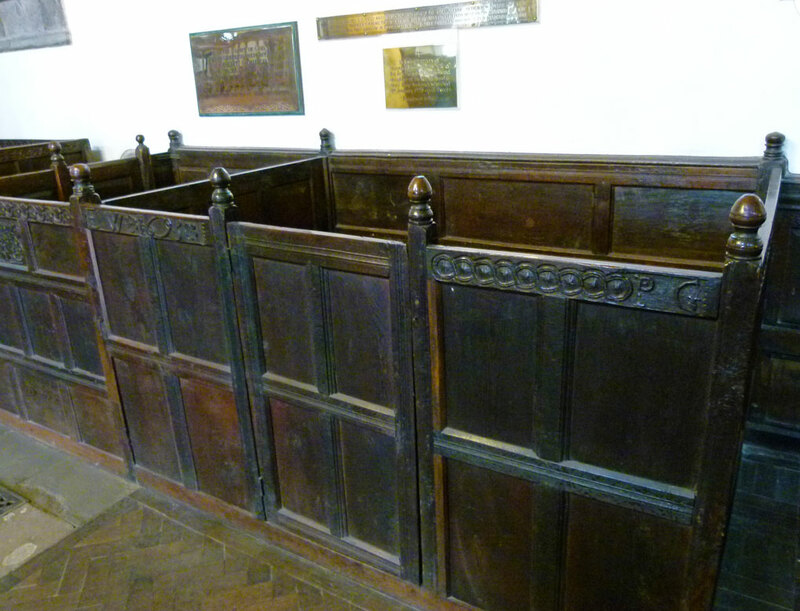 Their family pews can still be seen in the church – they do say that the Statesmen of Dentdale still exist, and meet regularly. 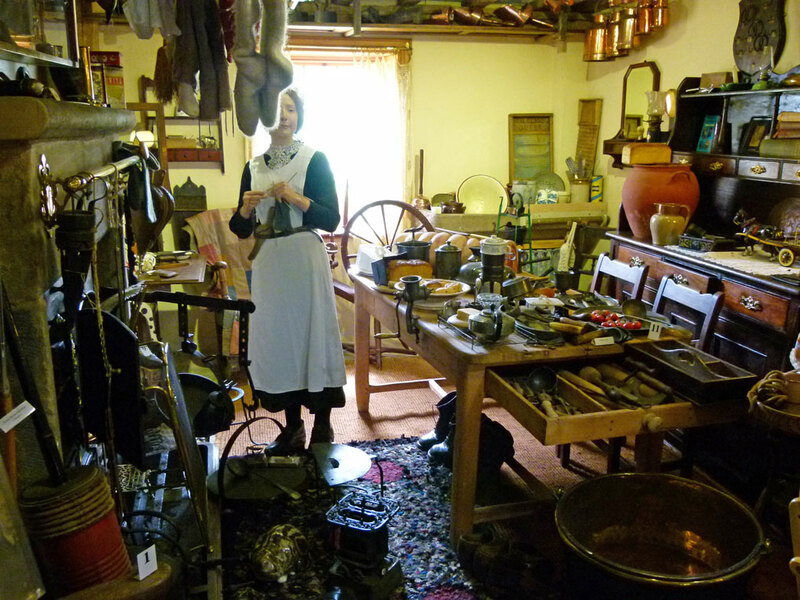 Despite the harsh conditions that can be experienced in a place like Dentdale – even with the comforts of today, like electricity, reasonable plumbing and the prospect of overseas travel – it seems to have been a hive of activity in the past. Farming has been at the centre of everything, of course, but coal has been mined there, there were several weaving mills and black Dent Marble, which contains a high concentration of fossils, was once quarried in nine different places. Production had virtually ended by the 20th century, but examples of Dent Marble can still be seen, including in St Andrew’s church – and in 1843 a grand Dent Marble fireplace was supplied for the Tsar’s Winter Palace in St Petersburg. 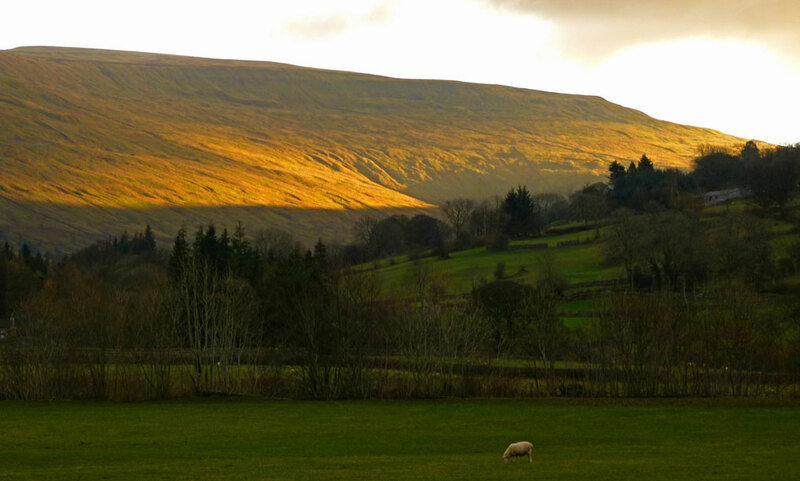 It is intriguing to learn that African slaves worked in Dentdale too; there is rumoured to be a slave burial ground somewhere and we can only speculate about the misery of these pour souls, torn from their homes and families so far away. But if you mention ‘Dent’ to folk in the vicinity, most will smile and say, “Ah – the Terrible Knitters of Dent”, in the kind of knowing tone that suggests you should probably be well aware of what they’re talking about. Not wishing to offend, or appear stupid, you smile back, nod politely, and reply, “Ah, yes – “the Terrible Knitters of Dent”, whilst your imagination conjures up images of a coven of fierce, cackling, elderly ladies, quite possibly mad, exophthalmic and maybe a little ripe, wielding enormous needles which they use as instruments for all manner of unpleasant, and undoubtedly painful, purposes. You wouldn’t want to be captured by the Terrible Knitters of Dent, you think to yourself. The truth is more mundane, and much less interesting. Hand-knitting was taken up as a means of supplementing a meagre income – though, by all accounts, the rewards for knitting were derisory too. Anyway, the “Terrible Knitters of Dent” knitted while they walked, cooked and carried on with everyday life (the mind boggles). They used special needles, had a special technique (which I’m sure knitters would appreciate and which apparently involved rocking back and forth as their fingers flew) and were simply ‘terribly good’ and ‘terribly fast’ – though another possibility is that they were also ‘terribly cruel’ to youngsters brought in to learn the trade and who failed to grasp it quickly enough. Dent’s knitting boom peaked during the Napoleonic Wars, when Britain needed all manner of knitted goods for its fighting men. Thereafter, competition from Lancashire’s mills steadily proved too much and there aren’t many terrible knitters left. So they say. Not content with being a hive of industry and home to farmers, miners, stonemasons, millers, knitters and vampires, Dent actually had its own school, financed by the King of England, as early as the 1540s. In 1604, they built their own grammar school in the churchyard – which is still there, though in domestic use these days. The school stayed open until 1897 – nearly 300 years – its most famous pupil being Adam Sedgwick (1785-1873), known locally as the father of British geology, who had an illustrious career and ended up being Professor of Geology at the University of Cambridge. In 1801, Dent had a population of 1,773. It peaked at around 2,100 in the 1870s, with an influx of navvies as the Settle-Carlisle Railway was built (Dent station is the highest in England). These days, the population is less than 700. But there’s a primary school, a busy shop, two pubs (one of which is better than the other), an active church, an excellent museum (Dent Village Museum and Heritage Centre, which should provide a blueprint for every rural community in the land), a good car park for visitors, miles and miles of footpaths across the fells and along the river Dee, and an annual festival. Dent Brewery is based down the road at Cowgill; I’m surprised no one’s seen old George floating about lately. It sounds to me like a visit is an absolute must! 🙂 Thanks for dropping in and leaving a comment. Which is THE TRUTH behind why the hymn AMAZING GRACE was penned! Better to TRUST TRUTH than human penned lies!! Oh my goodness what a treasure trove of history, and lovely photos too. Of course it was your title that drew me in! Who would have thought it, all that going on in a sleepy little village. Lovely history and beautiful photos. I’m a knitter, but nothing as impressive as those ladies. I’d be your common, or garden, terrible knitter. Yes, I liked Dent as soon as I saw it; it was love at first bite. Those interior shots showed an awful lot of stuff in the room. Pre minimalist and loft storage times. Yes, people in the future will need to use much more imagination when visiting museums about now :-). Fewer letters, diaries and other sources too?! Nice history and a place I’m not familiar with. The worldwide vampire myth probably came about when coffins were opened for another reason and they found scratch marks or movement from the corpse inside… medieval knowledge of people who only seemed to have died but revived underground leading to supernatural explanations. You have probably got enough on your plate Mike but self publishing a kindle book is fairly easy though unprofitable in my case so far compared to the effort involved. You can download instructions online and all you need for it is Word…. saves waiting for a publisher to take an interest and countless rejection slips unless you know a contact in the business. Guy recently waited 10 years to get his first book published but when it eventually came out it was a bestseller. Really appreciate that thought, Bob. 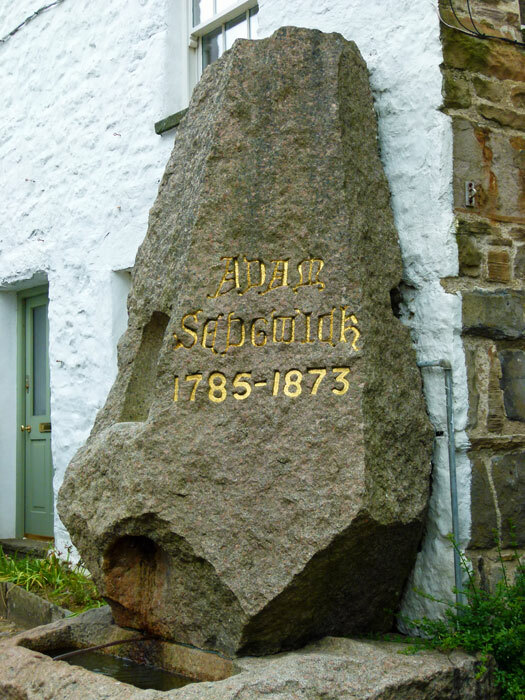 Interesting that they claim Adam Sedgwick as ‘the father of British geology’, when over on t’other side of Yorkshire they claim William ‘Strata’ Smith as the same. I think we’ll need to dig a bit deeper, then. Are you going to publish a book? Love the story of George. We love Dent. When my husband Tony used to play cricket their team used to play against Dent. The field had been cleared of sheep and they changed in a horse box.it was always a great day and ended in one of the pubs. Thank you! The best place to end up is often a pub. Thank you for a lovely morning coffee read! A lot about Dent makes me curious from your description and pictures, but I’m not sure it is feasible for me and my sister to get there while we’re in Ripon for two weeks – starting the week after next, yay!! It’s about 50 miles from Ripon. I wouldn’t want to endure it on public transport, personally, but an easy day-trip by car. Great post and marvelous story telling Mike. That is the cutest village! 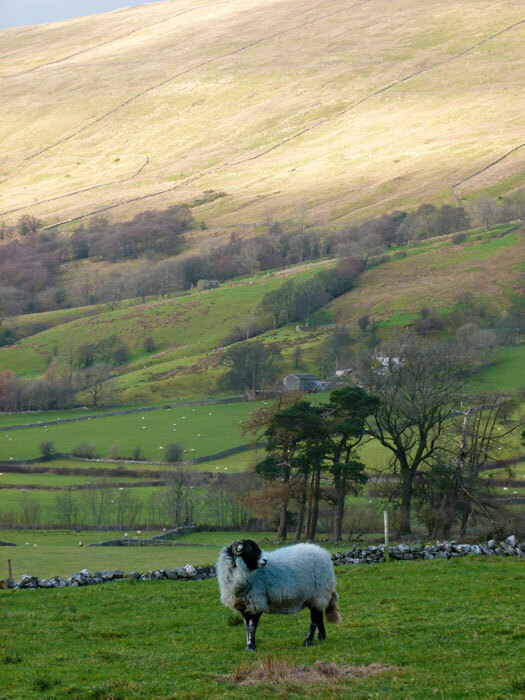 The countryside is beautiful and looks like James Herriot country to me. 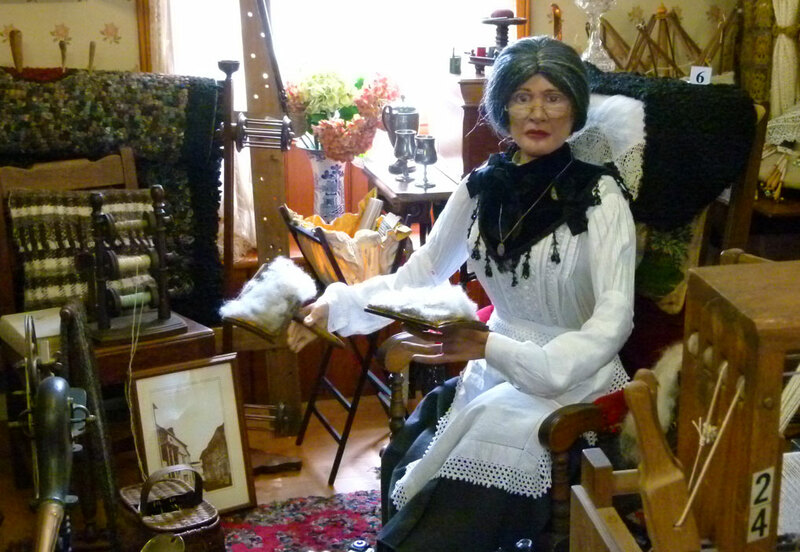 🙂 I got a kick out of the story of George Hodgson being thought a vampire, and the “terrible knitters…” I honestly thought it meant they couldn’t knit — you know everything they made was crooked, they kept dropping stitches, etc. 😉 That church is lovely — exactly the kind I would love to visit and photograph. Looks like you had fun here; thanks for sharing with us. Have a good weekend! Well that is quite a place isn’t it!! Fortunately I am not a knitter only a crocheter so I don’t need to worry about the terrible knitters! Just now reading the book “The Historian” and Dracula figures in it. Your story fit right in too. What a fascinating place and a bit of history as you said. I know some knitters who knit while walking, with their yarn in special little wristbags they’ve bought on etsy. Not me; when I’m walking it’s enough effort to stay on my feet, keep an eye on Piper, and try to avoid being carried off by the deerflies. But if I lived in that gorgeous wide landscape…I could see “driving my kye t’pasture” (well, goats, not cattle) on a chunky cob who could do all the walking for me, and then, maybe, I’d knit a bit along the way, as it looks like a long, gentle ride! What a tale about poor old George! how strange………. So much history there. The place looks peaceful and lovely today. Only Dent I knew of was a guy I used to work with of the same name now I know of a town with that name with an interesting history. Not Arthur Dent, who starred in the Hitchhiker’s Guide to the Galaxy? I think your country has thousands of fascinating tales already – but thank you. I had to look up Gen Longstreet (sorry)! If his wife’s family came from Britain, there’s a good chance, isn’t there? BTW, ‘Hodgson’ is often reckoned to be a Norse name; thought you’d like to know.